One of the largest Bangladeshi Smartphone brands is Walton. The giant electronic company produces different kinds of Smartphones and other electronic products & home appliances for all types of clients of the country. Problems with the electronics products are simple. The mid-class products of Walton Mobile phones get different types of problems with the handsets. To resolve these problems, the company has initiated so many customer care centers and service centers all over the country. They are known as Walton Service Management System (WSMS). The clients are getting all kinds of services from these one stop service centers. It has WSMS centers in almost all districts in Bangladesh to offer customer care. Moreover, there are huge showrooms that are well-known as Walton Plaza. These showrooms are the ideal places to get the genuine Walton Smartphones and other Walton products. You will get complete information of Walton Customer Care Numbers and addresses all over Bangladesh in this content. Walton is one of the best Smartphone brands in Bangladesh. The company is offering customer care for all of its clients across the country along with different electronics products. You must read the article entirely to know detail information about Walton Customer Care Numbers and its service centers in the country. Here is the latest information regarding Walton Customer care, service and sales. 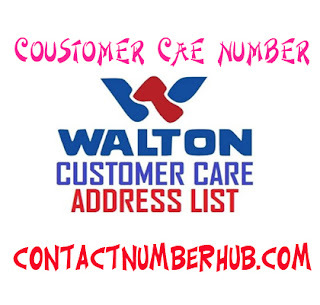 Most of the Walton customer care centers and service centers contacts and addresses are included here. In case of you are searching for any of the Walton contact numbers you will get most of them across Bangladesh. Ashulia Walton Customer Care Number: 01686692978. Address: Bogabari (Nurjahan Villa), Baipail, Ashulia, Dhaka. Polwel Walton Customer Care Number: 01686692761. Address: Polwel, Level-6, Shop No -6 Plot # 8/b, Sector # 8, Abdullahpur, Dhaka. Uttara Walton Customer Care Number: 01686692769. Address: 28, Goribe Nawaz Avenue, Sector -13, Uttara, Dhaka-1230. Rupnagar Walton Customer Care Number: 01678049350. Address: House No-26/1, Road No-04, Rupnagor Residential Area, Mirpur-2, Mirpur. Kuril Walton Customer Care Number: 01686692815. Address: House # Ka-46, Kuril, P.O- Khilkhet, P.S-Vatara, Dhaka-1229. Mohamadpur Walton Customer Number: 0 1678 048703. Address: House no-25, Road no-3, Chand uddan Housing, Mohammadpur, Dhaka-1207. B. City Walton Customers Number: 01686692737. Address: Bashundhara City Development Ltd. Level-5, Bolck-D Shop No-85, 98 Panthapath Dhaka. Motijheel Walton Customer Care Number: 01755610557. Address: 7th floor, 95 Ibrahim chamber, C/A, Motijheel, Dhaka-1000. Keranigonj Walton Customer care Number: 01678049290. Address: Nekrojbag, (Beside of Koborstan Bridge), Keranigonj, Dhaka-1310. Manikgonj Walton Customer Care Number: 01678028994. Address: 292/West Dasora Launch Gath, Manikgonj. Narsingdi Walton Customer Care Number: 01678048742. Address: Shah Protap Mor, Mokaromer Bari, Narsingdi. Tangail Walton Customer Care Number: 01678048767. Address: Malancha Hall Road, Adalatpara, Tangail. Kishoregonj Walton Customer Care Number: 01678028808. Address: 144/1 Dubail, Jamiatur Rasul Road, Gaital Kishoregonj. Faridpur Walton Customer Care Number: 01678048722. Address: Holding No-59, Brienkuthir, Haliport bazar, Brammonkanda, Faridpur. Jamalpur Walton Customer Care Number: 01686693119. Mymenshing Walton Customer Care Number: 01678028812. Bogra Walton Customer Care Number: 01678048710. Address: Tinmatha Railgate, Old Bogra, Bogra. Rajshahi Walton Customer Care Number: 01678028999. Address: Doshor Mondoler Mor, Shiroil School Road, Boalia, Rajshahi. Pabna Walton Customer Care Number: 01678028986. Address: Shanti Neer, House No-1795, P.I- Road, Radhanagor Maktab Para, Dakbangla More, Pabna. Rangpur Walton Customer Care Number: 01678028848. Address: House Name- Ajahar Lodge. House No- 68, Road No-01, Gupto Para, Rangpur. Dinajpur Walton Customer Care Number: 01678048757. Address: Boro bondhor, Horishoba Mor, Word No-06, Dinajpur. Kurigram Walton Customer Care Number: 01678028805. Address: House No-55/1, Road No-4, Nimbari Road, Dakbangla More, Kurigram Sadar, Kurigram. Agrabad, Chittagong Walton Customer Care Number: 01678048848. Chowmohani Walton Customer Care Number: 01678049395. Address: Manik Plaza, Mirwarishpur, Begumgonj, Chowmohani, Noakhali. Comilla Walton Customer Care Number: 01678028504. Barisal Walton Customer Care Number: 01686693031. Address: Habibulla Mansion, C & B Road, South Alakandha, Barisal. Sylhet Walton Customer Care Number (Mobile): 01686693300. Address: 350, Manru Shopping City (2nd Floor), Chouhatta, Sylhet. Khulna Walton Cell Phone Customer Care Number: 01678048736. Address: Rahim Plaza, 15 KDA Avenue, Khulna -9100.